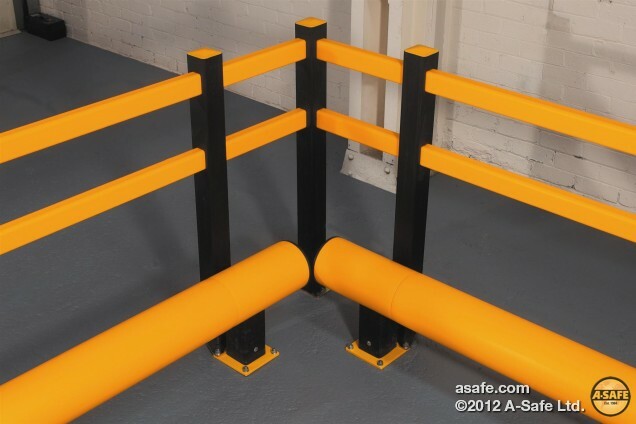 A-Safe is the most innovative safety barrier system ever. So innovative in fact, that it effectively makes conventional steel barriers obsolete. Double Rail Traffic Barrier comprises of a two 200mm Rail with an impact height of 300mm and the upper rail being 650mm. Standard Post centres are 1.6m and it has an overall height of 750mm. This fully module system can be made up to suit your needs and can be integrated with bollards. Pedestrian safety is vital in busy manufacturing and warehouse environments, as the close proximity of people and vehicles can all too often lead to accidents. Most of these accidents occur in situations where people simply wander from defined areas into the path of oncoming vehicles, rather than vice versa. 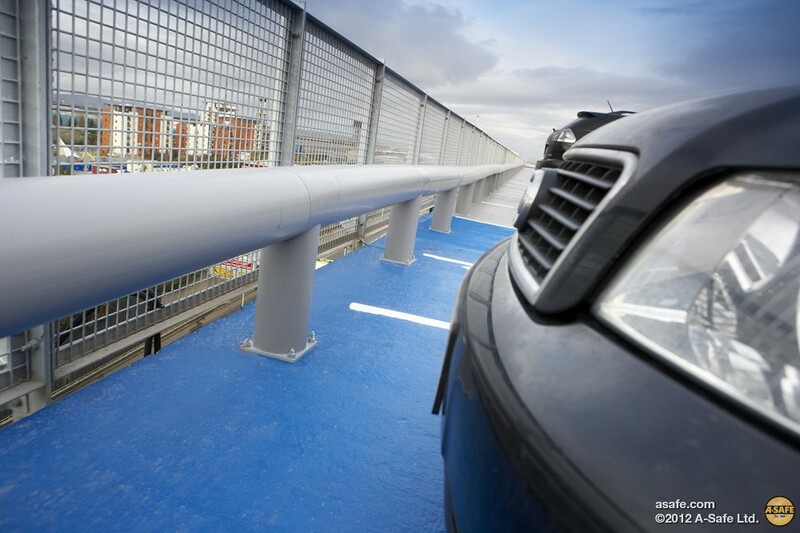 A-Safe barriers are the perfect solution to this problem, providing a durable barrier system made from a polymer-based material to physically prevent pedestrians straying from designated areas in a way that painted white lines simply cannot do. 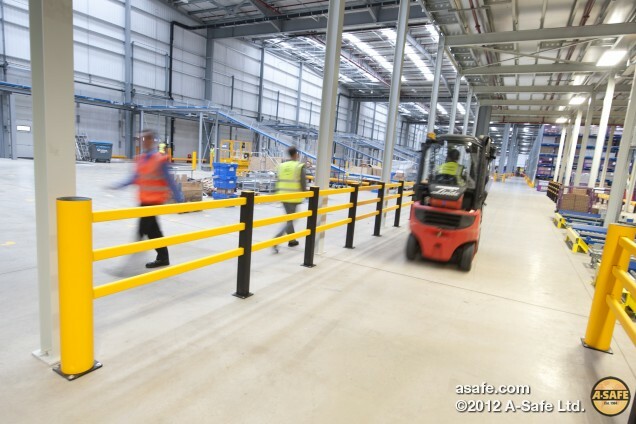 A-Safe barriers represent a vital long-term investment by contributing to that most valuable of all commodities – staff safety. This comprises of a single 200mm Rail with an impact height of 300mm. Standard Post centres are 1.6m and it has an overall height of 400mm. The impact height can be altered to suit different vehicles and there by altering the overall height. The Pedestrian Rail Attachment comprises of a 90x90mm post with 2 rails that mount onto the back of the traffic barrier. This fully module system means you can add the PRA onto the traffic when required. Maximum safety is, of course, vital at every airport but this must be balanced with effective cost savings, especially in today’s economic climate. 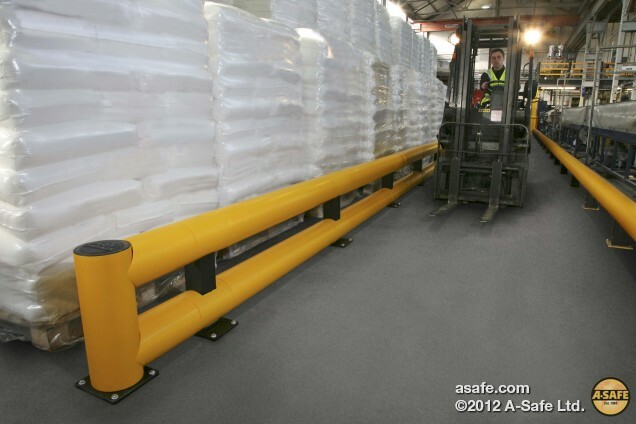 The A-Safe range of Atlas Airport Barriers has been designed to provide both these benefits and much more besides. The secret of their success is the polymer-based material they are constructed from, which makes them far more flexible and durable than ordinairy steel barriers. If they are hit by tug trucks or other vehicles, their built-in memory ensures that they spring back into shape, instead of bending or buckling. 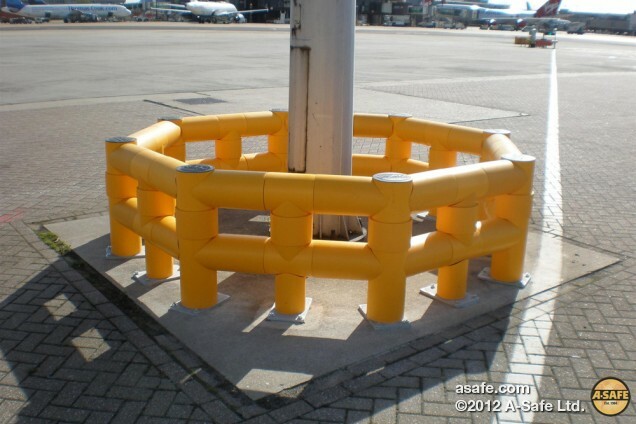 Generally the Atlas Barrier products are used on both internal and external airside airport applications but can also be used on landside applications where required. Bollards are used in many different environments to fulfil many different purposes. They are used extensively in industrial, commercial, public and leisure and Car Park surroundings. They are usually used to protect structures, provide access prevention or vehicle or pedestrian guidance. They can be installed in situations where they need to protect against impact, prevent impact damage or in situations where they simply need to provide a physical presence for access or guidance control. 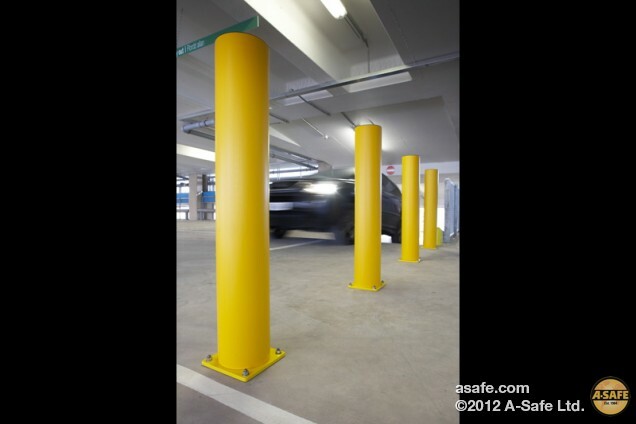 A-Safe bollards are the ideal products for use in any of these situations. The bollards are available in different section sizes and heights to suit differing impact prevention or size requirements, are durable and not affected by environmental conditions. 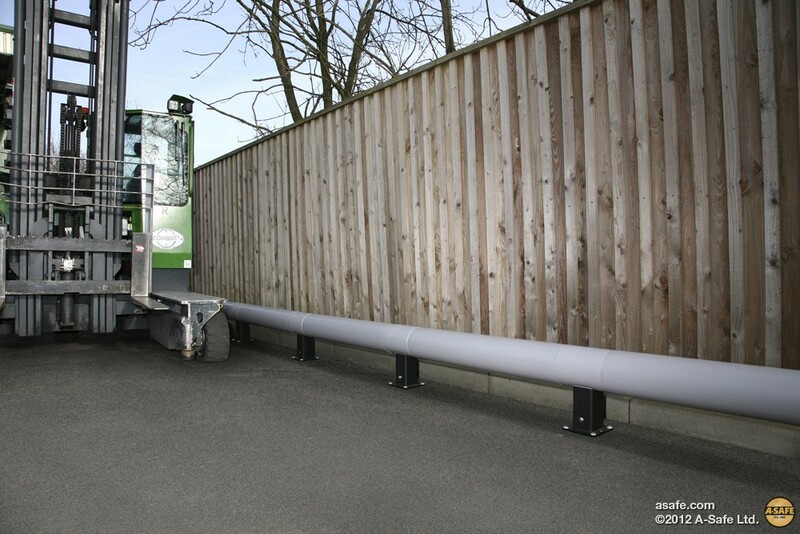 Manufactured from polymer based materials they offer impact resistance if required, damage removal or reduction and flexibility that are simply not found in rigid metal or concrete barriers. 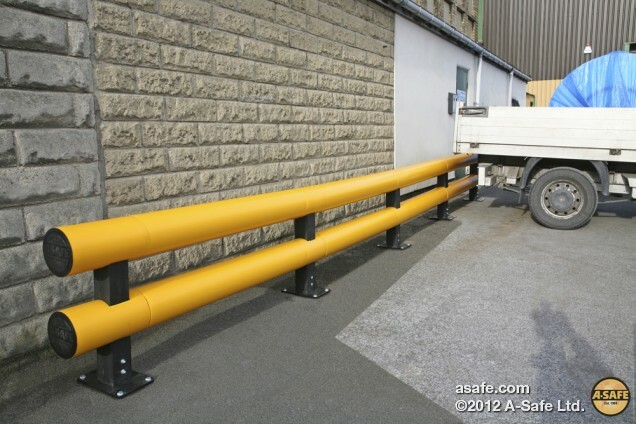 A-Safe barriers prevent and avoid unnecessary damage from vehicles to walls, building supports, valuable machinery and vulnerable equipment. Low Level Traffic Armco Barrier has a low impact height, making them ideal for use in areas where traffic movement comprises FLT’s and trucks with standard wheel arches, while the high level version has a higher impact height to suit trucks with high level wheel arches. 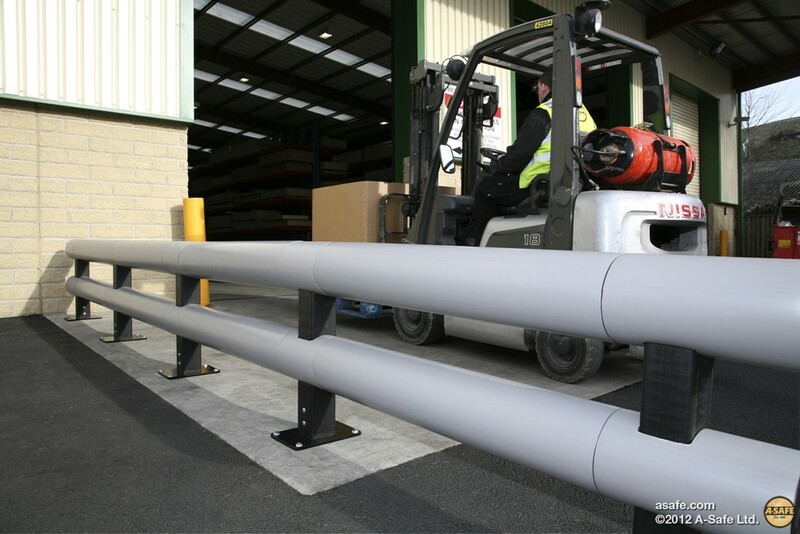 The Double Rail Traffic Armco Barrier has a greater resistance than the standard single rail version to offer maximum protection from straying vehicles, making it ideal for use in areas where impact forces are high and/or frequent.